Isay Weinfeld, a Brazilian architect, is one of those artists that delight me for his work and serve me as an inspiration in my daily projects. Weinfeld tends to think outside the box and create simplified, warm, clean yet detailed buildings and interiors. The renowned architect is responsible for one of my favorite hotels, the Hotel Fasano, shown in the picture above. The architect will also be responsible for redesign Miami’s South Beach hotel property The Shore Club as part of a massive overhaul of the existing building. Working as both the project’s architect and interior designer, Weinfeld will convert the existing 309-room structure into a luxury complex containing approximately 75 condominium residences, (ranging between 1-3 bedrooms), and 100 hotel rooms. Landscaped by Enzo Enea. 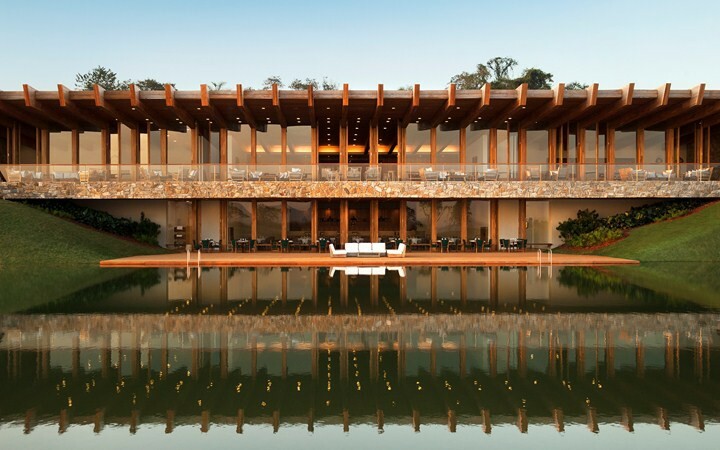 Once more the five star Brazilian hotel flag, Fasano, will be related to Weinfeld projetct. It will be the first Fasano in the United States. The Shore Club will be henceforth known as the Fasano Hotel and Residences at Shore Club, and potentially a five star hotel, possibly only the second five star hotel in South Beach besides the Setai. As a broker and architect, after analyzing the floor plans I can say that in addition to the unique location, the resort has one of the nicest floor plan layouts I have ever seen. It will surely be a place to see and be seen. Units start at $1,750,000.